I wish this post was about the Knicks gearing up for a playoff run. It’s not. It’s the twilight of yet another miserable Knicks season and instead of the team, the story has become the story. It has been a bitter year on many fronts: A lot of consternation has flowed in a dizzying array of directions: Players to coach; coach to players; players to media; coaches to media; media to management; media to coaches; blogs to all of it. Losing will bring out the worst in everyone pulled into the franchise’s orbit. From a fan’s perspective, the most despicable aspect of the last decade or so has indisputably been the play on the court. The next is the mismanagement. Then comes the press corps. At its best, the Knicks’ beat is intelligent, analytical, honest. At its worst it is defensive, dishonest, demeaning to its readers, hypocritical. Some of the writers fall consistently into the first category. Others into the second. Sometimes, rarely, they change hats. Marc Berman wrote that Mike D’Antoni blew the season because he wouldn’t play Darko Milicic. Of course with Darko getting big minutes, the Timberwolves have been worse than the Knicks. Marc Berman published his friend’s opinion that Suns’ coach Alvin Gentry has been doing a better job with the Suns than Mike D’Antoni did, particularly on defense, when the statistics don’t bear it out. The Suns are one of the few teams worse than the Knicks on defense. Marc Berman purposefully misrepresented to Mike D’Antoni comments Jordan Hill made in order to bait D’Antoni into saying something bad about Hill. Peter Vecsey claimed that Mike D’Antoni missed a chance to make the playoffs because he failed to play Jordan Hill, Larry Hughes, Darko, and Nate Robinson enough minutes. Does that look like a contender to you? Frank Isola took a shot at Mike D’Antoni by asking hypothetically whether the Bucks have so much more talent than the Knicks. Well lets see how well they do now that they’re shot-blocking, rebounding, intimidating 7 footer is out of the equation. Peter Vecsey derisively and sarcastically called Knicks’ fans “sophisticated” because many of them were happy that Donnie Walsh was able to trade away Jarred Jeffries bloated contract with some other assets that are not yet able to be evaluated for an enhanced chance at a rapid and successful rebuild, while at the same time using his “sophisticated” acumen to suggest an impossible (I explain why in the blog post) alternate and preferable scenario whereby the Knicks would have Zach Randolph, David Lee, Brook Lopez, Brandon Jennings and Jamal Crawford. Marc Berman falsely and shamelessly claimed that Mike D’Antoni compared Danilo Gallinari to Darko Milicic. Brian Lewis wrote falsely that Donnie Walsh wouldn’t be making any trade deadline deals, when in reality Walsh claimed that he wouldn’t make any bad deadline deals. An important detail either lazily ignored or willfully misrepresented in order to elicit a desired and predictable response from the fan base. Marc Berman either lazily failed to research the issue or lied that Larry Hughes has been a model citizen everywhere he has been other than New York, because it was useful to Berman’s attempt to smear D’Antoni, to paint Hughes in a positive, but false light. Dan Martin openly clamored for the Knicks to lose. Marc Berman said that the Knicks were “Turkeys”, that they always “overthink things” and that they “outsmarted themselves” for not signing Allen Iverson when in reality that article proved that Marc Berman underthinks things. Apparently NBA players prefer hero worship over raw honesty and unfettered opinion. They prefer the big fish/small pond ratio in smaller markets, where the coverage has the intensity of a street light. How should this team be covered at this point? Should we just shrug when Eddy Curry continually gets injured and yet still makes every single road trip, pocketing per diem and enjoying the free travel? then that is a problem with the players and not the writers. But I think McGrady may have been referring more to the unfair treatment some writers bestow on some players (and the coaches, and management), the most glaring examples of which I’ve referenced above. You better believe it’s a circus. And McGrady isn’t the only one holding that opinion. Hahn points out that Ron Artest said that players are “scared of the fans and the media”. And Chris Bosh stated his distaste for the Knicks’ beat too. I can’t speak for everybody in this business, but I can say there is not supposed to be agenda in any of this. It’s merely unbiased observations from those closest to the team without being part of the team. Most of us ask questions not because we don’t know the answers, we ask them because we DO know the answers. Look, some of that is true. For Hahn, it certainly is. But even if Hahn asks honest questions seeking honest answers, let’s not pretend that there aren’t others who carefully engineer loaded, indefensible questions to solicit a frustrated response – to make news. You can’t honestly suggest that no writers have an agenda. Not when we’re still getting updates about what Stephon Marbury thinks about the Knicks. Not when they are openly calling for the Coach’s head (are journalists supposed to report the story or be a part of it?). There are plenty of fans who recognize that Mike D’Antoni has not been perfect, not even close, but are tired of reading diatribes, insulting to their intelligence, positing that all of the blame falls at the Coach’s feet. Will Berman, who had D’Antoni up in slings when he benched Nate Robinson refer to Nate’s latest benching with the Celtics as “Nate-Gate”? Will he recognize, as every single one of Nate’s pro coaches has that Nate’s best spot may be the end of the bench? The Knicks are out of the playoffs because D’Antoni didn’t play Darko? Really? Is it truly a meaningful issue that Mike D’Antoni didn’t coddle Larry Hughes and Eddy Curry enough? Marc, we know you’re worried that people aren’t going to pay attention to you if the Knicks aren’t good, but don’t you have some sort of professional responsibility as a journalist? For all of the professionalism supposedly absent from the Knicks organization, from the coaching staff to the players (and yes, some of the players don’t know what that word means), the last ones to judge should be those who call their assignment “a gulag”, or “depressing”, and who pine for the old Checketts days when the Knicks treated the beat writers to a catered trips on yachts. Guess what Frank? I don’t get catered trips on yachts at my job either but I don’t elevate that grievance over my duties. Granted, the good one’s like Hahn, Steve Adamek and Howard Beck are honest. They’re professional. They can have their negative opinions of the organization, as immortalized in the New York Observer article, without letting it cloud their work product. Marc Berman and Frank Isola are driven by personal issues and it’s a waste of time to argue otherwise. These are circling vultures waiting to twist words and parse statements and misrepresent them, and take them out of context. They do this in order to generate enough controversy to satisfy a decade old grudge, or satiate some narcissistic thirst for attention/sell papers for News Corp. Despite their presence, you can understand why a player like LeBron James would put up with it anyway. He has an empire he wants to build and New York may be the best place to do it. For an average or even above average player though, all other things are more or less equal. So what is there to gain by subjecting yourself to the daily dishonesty and mind bending disingenuousness? I have some news for the writers on the beat that hate their jobs and take it out on the organization. LeBron might not come, and if McGrady, Artest and Bosh represent the feelings of the rest of the players in the league, you’ve got a number of “depressing” years left in this “gulag”. It’s easy to second guess. Judging by their reaction, Walsh’s latest moves had gone over big with New York’s renowned “sophisticated” fans. Potentially, he had traded three pristine picks to the Rockets for a micro-surgically repaired 30-year-old (Tracy McGrady) in order to build for the future, yet they anointed him with oil. It’s fine to disagree with the Jeffries move. There is an intelligent and rational way to do it. We have a great reader/commenter (Italian Stallion) who does it all the time. But the way Vescey did it is just wrong. The Knicks traded a single pick: the 2012 one, which is protected. They also traded Jordan Hill, who may or may not be a contributor in this league. They also gave Houston the right to swap 2011 picks. Depending on how things go, this right may or may not be exercised. Despite the reality, had Walsh selected his draft picks more prudently and chosen a path of resistance vs. concession, the Knicks’ current starters would be Randolph, David Lee, Brook Lopez, Brandon Jennings and Crawford . . . and they would own their own first-rounders in 2011 and 2012 instead of the distant hope of landing James, Wade or both. But wait a minute Peter, surely an astute basketball mind like you would realize that a playoff caliber squad like the one D’Antoni inherited [sarcasm] wouldn’t have had a lottery pick two drafts ago, so they wouldn’t have had a chance to draft Lopez, the “dominant” center on a 6 win team. But playing Vescey’s game, Lopez would only improve the Knicks with his dominating play and therefore they surely wouldn’t have had the opportunity to draft the amazing Brandon Jennings [sarcasm]. If you want to be completely honest rather than trying to have it both ways, I’d grant you that the Knicks could have been Ty Lawson, Crawford, Lee, ZBo, and Roy Hibbert. AWESOME!!! Move over Raptors! Anyway, the completely mythical lineup that Vescey proposes has Lee as a small forward (surely he’s capable of containing athletic NBA wings out on the perimeter), two ball dominating guards with poor shot selection and another ball hog at power forward. Surely the recipe for success right? I dont know as much about Lefty McCorish, Patches O’Barnaby, Solomon “One Foot” Bilzheimer, or Moishe “48-minute clock” Rothman as the venerable Vescey does, but to my novice mind, if my options were Vescey’s impossible fantasy line-up or a roll of the dice coupled with future cap flexibility that has value well beyond Plans A-C that Vescey purports to be privy to, I go with the latter. Hahn says the Knicks are after Curry or Evans. Vescey says watch for Rubio. NOTE: Vescey also confirms the Knicks are looking to get the 5th pick from Washington for just Hughes and a couple of expirings, but would then, instead of taking two skilled players at different positions, package the two picks for number 2. In the end its a trade of 8 and Hughes for 2. Still a good deal but I think I’d rather have 5 and 8. Berman says the Knicks are taking a Holiday, or Evans, or Curry, or Hill. Chad Ford says make way for Jennings, or Holiday…or Evans, or Hill, or Curry, or Rubio. I’m definitely disturbed that Chad Ford has Brandon Jennings going to the Knicks in his latest mock draft. You can see more about my Jennings misgivings in “Bad News Brandon” and also here, here, here, here, and here. Christmas Tree The Psych Test? : Sometimes you hear a story that just too silly to believe, but three league sources have repeated this scenario so it has to be stated – why is Brandon Jennings taking a tumble? Brandon has absolutely killed it in workouts. Two team sources who he worked out for said the kid is an amazing talent. The problem is he’s got some red flags, and the biggest appears to be that he “Christmas Tree’d” the psychological test. Most teams administer a test to determine if they are drafting a kid with significant problems, or kids that have competitive issues in order to determine if they can handle the rigors of professional life in the NBA. Most teams put a lot of weight behind the psych testing; some put a little, some don’t consider it at all. It turns out Jennings may have answered all the questions the same, as one executive said “blowing off the test,” and as you can imagine teams that value that information were not overly pleased. Two teams in the top 6 immediately removed Brandon from consideration upon hearing that news and word is unless Minnesota takes him at #6, he could take a wicked tumble on draft day. Here is a kid trying to convince serious organizations to invest millions of dollars into him and he approaches the draft process with a cavalier, arrogant attitude, as if the team that drafts him should be honored that he would grace them with his presence. If a prospective employer is placing emphasis on a psych exam and taking it seriously, shouldn’t Jennings? How many job seekers (outside the egotistical fantasy world that exists inside Jennings’ brain) would treat an interview this dismissively, unless they thought they were somehow entitled to the job without proving that they deserved it? We already know that Jennings has an aversion to tests, failing to get adequate SAT scores to get into Arizona three times, but the least you can do is try, rather than just selecting A, A, A, A, A, A, A, as your answer to every question. Point guard is a cerebral position, and SSOL requires quick decisions. You don’t want a selfish dunce running the show, but that’s exactly what Jennings is proving himself to be. Rubio, Curry, Evans (even though he isn’t a true 1), Holiday, Flynn, Lawson, Maynor, Calathes, Teague, Collison. At least they take their place in the draft process, and team concept, seriously, and treat it with respect. At least they are willing to earn it. They displayed it by going to college when any one of them could have gone to Europe like Jennings so he could “get his”. Jennings went to Europe and was shocked and dismayed that minutes weren’t just given to him, blaming it on the fact that his team is a big-market, established team. Now he wants to run an NBA team and get paid millions of dollars to do it. But has he earned it in Europe? Is he even trying to now? With so many solid options, I really hope the Knicks don’t wind up with another headcase. Do u think that Jennings is better than Rubio? Totally different players … and no. Rubio is a true point guard who sees the floor and makes everyone around him better. Jennings is more in the mold of Allen Iverson — a super quick guard who thrives at penetrating and creating his own shot. Rubio can score a little and Jennings can pass a little … but they are totally different and at the end of the day finding guys like Rubio are a lot harder than finding guys like Jennings. And let’s not forget, while Jennings was hyping his one-on-one matchup with Rubio … Rubio was just coming back from a major injury. Look at their season at the end and it was Rubio, not Jennings, that was putting up the numbers in Europe. It’s no secret that the Cavs are looking to improve their team so LeBron doesn’t bolt in 2010 — who do you see as the most likely additions? I don’t want to say it’s panic time in Cleveland. That’s too strong. But it’s panic time in Cleveland. If they don’t put a team on the floor that shows LeBron they are a title contender again, not only next season, but beyond, why does he stay?On that end … how does Shaq help in that equation? He really helped the Suns with their playoff aspirations this year. Antawn Jamison? Better … but again, in the long term I’m not sure. And by the way, weren’t those the guys the Cavs rejected in February?I think there’s a bigger mess in Cleveland than people think. You never want to overract to a playoff loss like this … but as their team gets older and more players are heading out next summer, they have to do something. Analysis: The Knicks will be disappointed if Curry is off the board, but the truth is that they have needs everywhere. If they draft for the frontcourt, Hill is probably the guy. With David Lee hitting (restricted) free agency this summer, Hill would be a perfect fit for New York at the 4. But don’t count out one sleeper here: Ohio State’s B.J. Mullens. His combination of size and athleticism is tempting. He’s far from ready, but the Knicks need a big man and they are intrigued. If drafting for point guard, the Knicks would have to decide between experience and upside. Flynn has the ability to come in and play right away in New York. Jennings has more long-term upside. I think Jennings’ playing a year in Italy will make him intriguing to Mike D’Antoni, but Flynn is more of a pure point guard right now and that’s what the Knicks need. Nice display of humility but I’m not buying it. I think someone (Dan Fegan) told him to tone it down and he listened. In my opinion Jennings already let the cat out of the bag and let slip a taste of some “me-first” attitude that Knicks fans have (or should have) grown to despise by now. Sources say Jennings’ combination of speed and quickness was impressive, but his shot selection and jump shots were not. Neither was his slight frame. From the sound of things, Jennings was probably more impressive in his Golden State workout than in the one in Sacramento. By most accounts Flynn is a extremely fast and quick, but a good decision maker. I can think of a recent Knick who had a slight frame and poor shot selection (Jamal Crawford). With so many smart, solid, team oriented PG prospects who look like they have good heads on their shoulders, I’m still leery about Jennings. Chris Alvino does a good job summarizing the rest of Chad’s peice. Short version: things are really in flux right now, and it’s getting hard to keep track of all the rumors. Jennings Spouts Off: Half of the NBA Draft process is convincing a team that you are a better fit than the guy in front of you, but it is generally considered bad form to call out or disrespect the guys your competing against. Apparently Brandon Jennings did not get that memo. In an interview with Sporting News’ Sean Deveney, Jennings said he did not think Memphis guard Tyreke Evans or UCLA’s Jrue Holiday would make good NBA point guards. Jennings is a bit late to the game in terms of meeting with teams. Jennings opted not to play in the Eurocamp last week, a move most scouts were disappointed with as teams really wanted to see Jennings in a competitive 5-on-5 situation. Jennings is projected to go in the top 15 selections. It’s pretty funny for Jennings to call out Evan’s and Holiday for not “mak[ing] the right play”, “run[ning] a team”, “being a leader”, and displaying those “things out there on the court”. Last I checked, Evans and Holiday displayed a lot more “out there on the court”, than Jennings, who has struggled to find meaningful minutes in truly competitive situations (Rubio and Gallinari are a similar same age and made solid contributions against the same level competition). Add to that they showed up for the combine and measurements while Jennings did not. Jennings is throwing lots of stones but he’s living in a fragile glass house. Not very savvy. Further, if you read the glowing, complimentary things that other prospects have to say about one another, its plain to see they are much more professional than this kid. Will the Knicks wind up with him. Without any inside information, I put it at 1%. I don’t want them to. If they do take him I hope he lives up to the hype of those that like him, but as of now, to me, he’s radioactive. This seems like a lock. Not only is Curry immensely talented but he also fills a need. With other prospects, you might have to give up some talent for fit or some fit for talent. It makes too much sense, and my impression of Curry’s constant expressions of love for the Knicks is that he’s trying to make clear that he’ll be unhappy playing elsewhere. It’s just a hunch but I think the order of preference for the Knicks is Rubio, Curry, Holiday and Flynn. Flynn is the second most likely choice because Holiday has quickly risen up draft boards. So if Curry is off the table, I think Flynn is the choice. And a good choice he’d be. While he’s not the best shooter, a lot of players come into the league with below average jumpers. It’s fixable. What Flynn does have is heart, hustle, good length, great point guard skills, and a winning attitude. In the unlikely event that Curry is selected before Holiday, and Holiday slides, the Knicks will scoop him up. He has risen quickly up draft boards because of his size, speed, and athleticism. Those are good traits to have in general, but alone they will not make you a good point guard. Holiday is a bit of a risk because while it is undeniable that he has all the physical tools to play in the NBA, his jumper is suspect, and his passing is unproven, as he played only one season at UCLA and played off the ball. In my opinion, the best way to evaluate a player is game film, so his sharp ascent might lead to a letdown. Maybe he’ll be Chauncey Billups one day, but maybe he’ll be Antonio Daniels. It’s hard to peg Thabeet’s place in the draft. The only team that was rumored to really like him was Memphis, but now they seem more enamored with Tyreke Evans and a rumored trade with the Kings in which they swap picks makes a lot of sense for both teams. It is possible though that he could wind up with Oklahoma or Washington. Minnesota is set up front (though they can add him to the rotation) and Golden State is repeating an experiment I tried in NBA Live once where my roster exclusively guards. There has been rumored interest on the part of Donnie Walsh for Thabeet, but I don’t think he loses a shot at a real point guard for Thabeet. Maybe a Lee or Nate or Harrington or Hughes trade for Etan Thomas, Mike James (Jon originally came up with this idea and it makes sense) and the 5th pick could land the Knicks Thabeet and still allow them to draft a point. There haven’t been any Hill to the Knicks whispers at all, but he seems to be a popular candidate to slide in many mock drafts. He’d be a cheap Lee replacement but would offer more toughness than Lee and would block a shot or two. Still not sure if Donnie prefers that to a play-maker though. Evans has great size and athleticism. He’s a physical presence in the back-court or even as a 3, but be sure, he’s a wing, not a point guard. Not only that but he will dominate the ball, pound it into the ground, and shoot poorly. There has been reported interest on behalf of the Knicks but I’m selling that rumor as a smokescreen. Just because the Knicks are calling a guy’s agent, or trying to schedule workouts, it doesn’t mean he’s a legitimate target. The Knicks have had their fair share over the last epoch of selfish players who pound the ball into the ground and either recklessly bull their way into the paint or heave up a jumper (Marbury, Crawford, Robinson, Francis), and they won’t take a chance on another one. Harden’s basketball IQ and scoring prowess would force the Knicks to take a long hard look at him if he is still on the board at 8. It would almost certainly mean that both Curry and Holiday have been selected. People knock Harden’s athleticism but he has been compared to Paul Peirce, who isn’t overly athletic and who slid to 10 on draft day somehow. There is a chance that the Knicks could land Rubio. Reportedly Rubio is wants to play for the Knicks. But unless he says he will play only for the Knicks, the chances of getting him are very small because other teams he would consider would have more to offer the Grizzlies in a trade. If he did issue such an ultimatum, Knicks fans should be prepared to lose Wilson Chandler in exchange, since it is unlikely that David Lee, who is a restricted free-agent, and thus can simply take the qualifying offer if he doesn’t consent to his destination in a sign and trade, would agree to go to Memphis. At that point you have to ask yourself, with the Knicks looking to win now, does it really make them better to give up 8 and Chandler for a 17 year old who is sure to require time to adjust to a faster game with stronger opponnents and a new culture? I see this trade happening only if the Grizzlies can be convinced to accept an expiring contract and a future draft pick in exchange. There hasn’t been any indication that the Knicks have interest in Jennings, and why should they? Why should anyone in the first half of the draft? 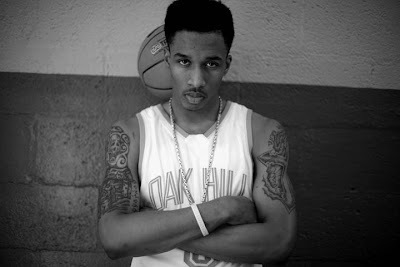 Jennings showed promise in high school against boys half his size but so did Gerald Green and Kwame Brown. After high school, Jennings went to Europe and barely got off the bench in Italy. Then was replaced on his squad for the playoffs by a back-up power forward. I don’t buy the notion that he should be given slack because he’s 18. So is Rubio. Again, even though he might be good one day, the Knicks are trying to win now, and it is unlikely that Jennings will bring anything to the table next year at point guard.